The Wright Cycle Company building was home to the 4th Wright brothers’ bicycle business from 1895 to 1897. It is the only building remaining in their original location. Here the Wright brothers began to manufacture their own brand of bicycles which gave the brothers the mechanical experience and financial resources necessary to began their experiments into powered human flight. The bicycle shop where the Wright brothers actually worked on their first flying machine is now located at Henry Ford's Greenfield Village in Dearborn, Michigan. The Dayton Bicycle Shop has a wealth of information and artifacts collected concerning the Wright brothers study of aviation, particularly as it applied to their improved Wright Flyer III plane. The Wright Cycle Company building was listed as a National Historic Landmark in 1990. The fourth bicycle shop operated by the Wrights is the only building remaining as testament to their bicycle business. The Cycle Shop forms a part of the Wright Cycle Company complex. Designated as a National Historic Landmark in 1990. The following is listing of the bicycle shops operated by the Wrights. 1892: Wright Cycle Exchange at 1005 West Third Street, Dayton, OH. 1893: Wright Cycle Exchange at 1015 West Third Street, Dayton, OH. 1893 to 1894: Wright Cycle Exchange at 1034 West Third Street. The name was later changed to Wright Cycle Co.
1895 to 1897: Wright Cycle Co. at two locations -- the main store at 22 South Williams Street, Dayton, and a branch in downtown Dayton at 23 West Second Street. The branch store was closed in 1896. 1897 to 1908: The Wright Cycle Co. at 1127 West Third Street, Dayton, OH. After about 1902, the Wrights manufactured very few bicycles and none after 1904. It was at this time they reached the decision to devote all their efforts at perfecting their flying machine. When they began selling aircraft in 1909, the bicycle shop at 1127 West Third Street was converted to a machine shop where employees of the Wright Company, the brothers airplane manufacturing business, turned out parts for the airplane engines and drive trains. 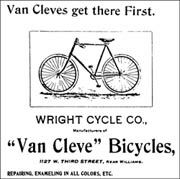 In 1909 or 1910, the Wrights sold all their remaining bicycle parts and the rights to the Van Cleve name to W.F. Meyers, a bicycle salesman, repairman, and machinist. Meyers did not make his own bicycles, but had another company put them together and he put the Van Cleve nameplate on them. Meyers continued selling Van Cleve bicycles until 1939. 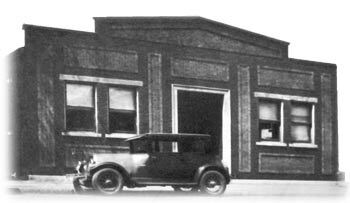 For 30 years Orville Wright's place of business was in a plain brick building on North Broadway. Visiting reporters found it quite ordinary. There was a reception area for Miss Beck, his secretary, an inner office with Orville's desk, files and drawing tables, and large work area that ran across the back. With the exception of a large wind tunnel, there was little to distinguish it from any other well-equipped machine shop. 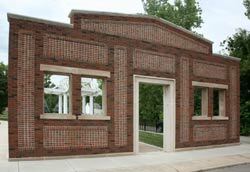 In 1976, Standard Oil of Ohio tore down the workshop to use the property to sell gasoline. The gas station was never built. 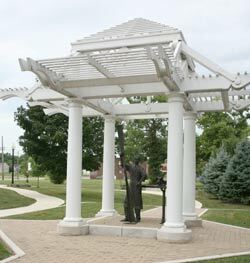 Today there is a memorial park on the location with a statue of Orville examining a propeller and a replica of the building's front facade. The Van Cleve Bicycle was designed and built by the Wright brothers in their shop. It featured a coaster brake, with frames ranging in size from 22" - 24" and came in either black or carmine. Other colors were available on special order. They also offered a variety of upgrades to their basic bicycle. Price for the Van Cleve was $47.00. According to the Wright Brothers, this low price only applies when payments are promptly met. Otherwise the price is $50.00. They also offered a similar model designed for "the ladies" that was priced at $37.00. The Wright brothers had a wide range of bicycles and qualities. In 1895, their best bicycles were priced at $100, "excellent machines" were $80, "fine machines" were $60 and "good machines" were just $50. Wright's Motto: "Be ready to buy for cash, if possible. Cash prices will be still lower." The Van Cleves had been among Dayton's first settlers and were ancestors of the Wrights. After several years in the printing business, the Wright brothers began looking for a new challenge. They found that challenge in the popularity of the safety bicycle. They bought their first safety bicycles in 1892 and rode them all over Dayton. Orville even took up racing and won several medals in local events. With the increasing popularity of the bicycles, the Wrights applied their mechanical abilities at repairing many of their friends bicycles. This led them to open their own bicycle manufacturing and repairing business they operated in the same building as their printing business. After having conquered the bicycle, in a few years, their challenge then became focused on learning to fly.